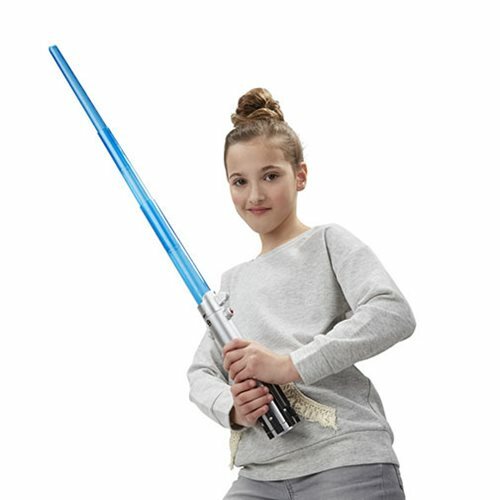 A true Star Wars fan can't have too many lightsabers. 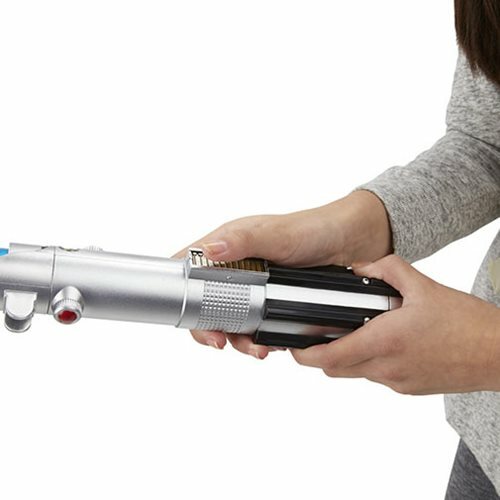 That's where this amazing Star Wars The Force Awakens Rey Bladebuilders Electronic Lightsaber comes in. This is the iconic and favored weapons of Force-users everywhere light up, play real lightsaber sound effects, and have a blade that springs into action! 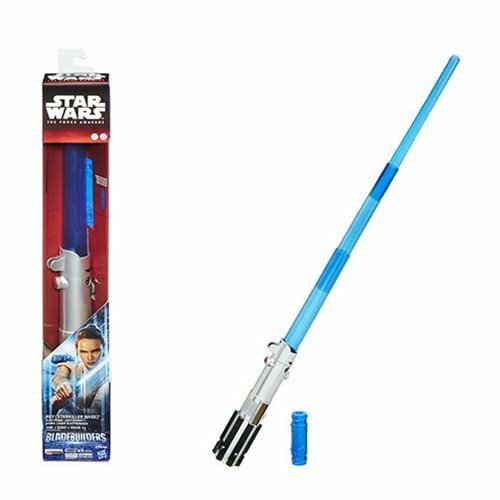 Item extends over 30-inches long and requires 3x "AAA" batteries (not included) for the lights and sounds. Ages 4 and up.